After years and years of collecting notebooks I've come to notice that they aren't very cheap and I am all about saving money. I decided to DIY my own notebook covers. Which was not only fun but you get to customise them and add your personal touch. These notebook covers are very easy to make. I made them while watching television. The covering with plastic part was quite a mission but that has never been my talent. The notebook cost just R2 at Checkers. For the first notebook I pulled out a beautiful green page out of the magazine and I cut it to the size of the notebook. 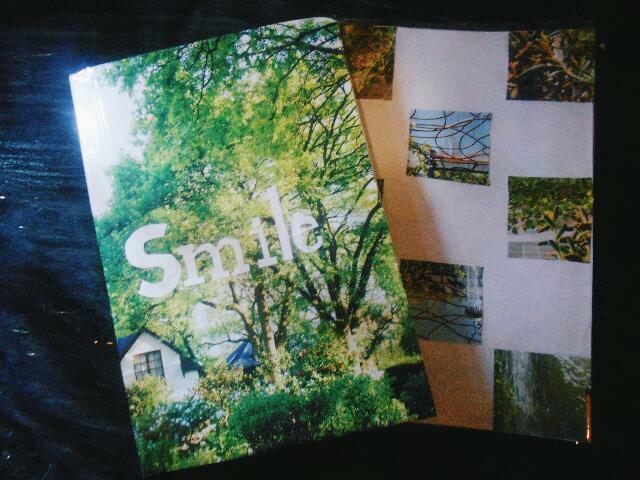 I cut out the word 'smile' from the white piece of paper, stuck it on and that is pretty much it. I covered it with a plastic cover to complete it and it ensure that it lasts. 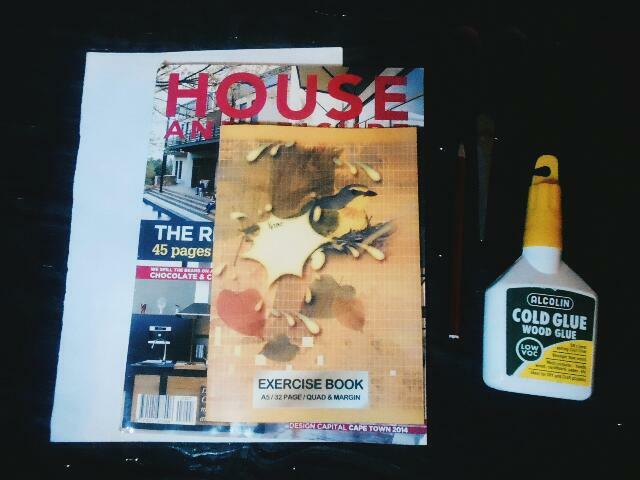 For the second notebook I pulled out another beautiful green page, home and gardening magazines have the best pages. I cut the paper into little squares which I am apparently not good at. Despite that I am happy with how my notebooks and the fact that I close to nothing.